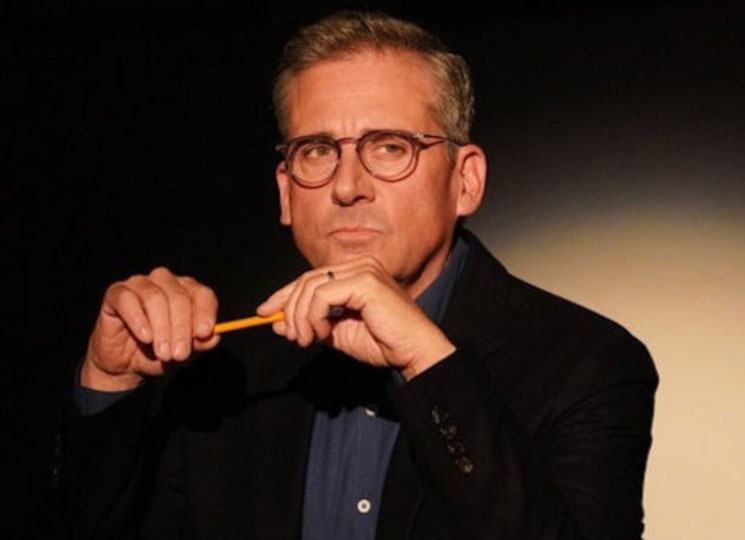 Welcome to Marwen was a big ol' box office flop, so it's unlikely that comedic actor Steve Carell will be doing anymore big Oscar plays in the years to come. Instead, he's returning to televised comedy by teaming up with American Office creator Greg Daniels for a new series. The Netflix show is called Space Force, and if that name is familiar, it's because that's also the name of Trump's proposed new organization. The show was announced via a new teaser trailer, which points out that the said Space Force's mission is not exactly logical. As it states, "The goal of the new branch is to 'defend satellites from attack' and 'perform other space-related tasks'…or something. This is the story of the men and women who have to figure it out." Watch the teaser for Space Force below. According to The Hollywood Reporter, Carell will earn a record $1 million USD per episode of the series.